He seemed always weary back then. He worked so hard and out of necessity he mostly had a middle of the night, sometimes in dangerous neighborhoods, sometimes freezing cold or rainy, newspaper route!! So many men and women work and labor at several jobs just to make ends meet. My man did and still does at times. I think God must love the Worker. Every Man. Every Woman. There are many references to work throughout the Bible. “Whatever you do, work at it with all your heart, as working for the Lord, not for human masters.” Colossians, 3:23. We easily forget those words of Wisdom sometimes. I remember the Nuns would tell us in Catholic School when we had some hard work to do “offer it up to God”. Yea….right Sister! We would think. But, you know what? It is true. It’s Labor Day weekend and when I watched my hubby taking a well deserved nap yesterday, at almost 72 years old now, I couldn’t help but remember the years and years he fell asleep for short spurts after his middle of the night paper routes or long shifts of loading trucks or studying homework in night school or worrying about keeping his appraisal business going for those who depended on him. He was never hesitant to work and would help people complete a task or buy something for them without being asked. He never complained about it, he just did it. Just as his Father had done, his Grandfather had done and on and on back to his Cherokee roots. Just like all good workers, I see his determination to finish a job well done and I see it now in our own children’s bloodline and now our grandchildren. Even in their play, creative endeavors, or parenting, they do their work well and completely. My son-in-law Larry even “works” on Fathers Day cooking barbecue for Priests to show appreciation to them for working as earthly spiritual Fathers! 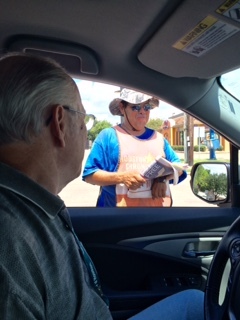 While out walking this Sunday morning, the day before Labor Day, I stopped to talk to this smiling worker. He was getting his job done before the day heated up. We laughed about the weather and then he asked if I knew anyone who needed their yards mowed. Oh, how my Dad would have loved that! My husbands’ own Father would “work” while reading the morning paper. He would make notes about what needed to be done for the day or plan projects. I remember when little “Baby Jessica” fell into a well over 20 years ago and my father-in-law read the story in the Houston Chronicle. He was so upset and then designed an entire method, with drawings, on how to retrieve the little one from the well. He “worked” in spirit right alongside those rescuers. He beamed with pride too, cried and cheered when they retrieved her life filled body. 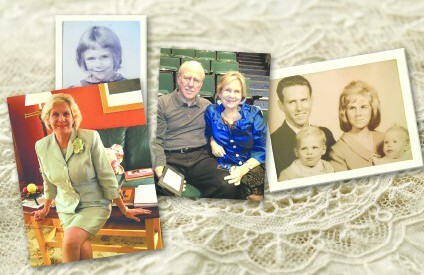 My Mother always worked in the home like many Moms and she raised ten children. I remember that she always had one toddler on her hip while pouring milk into a baby bottle with her other hand. That’s how MY Mom got tennis elbow!! It’s not to say that some people don’t work hard now but the respect for labor, for work, seems different. It’s probably just the normal changes of time but somehow it seems to be tied more to the money involved or the fame or recognition achieved. Somehow the web of need and appreciation for all types of workers has lost it’s luster and the desire to be recognized has surpassed the desire to just do a good job. Can some jobs just be done right, just for the good of doing them right? My Dad always said if we didn’t have any work to do or we were finished with our work, then “pick up a broom and quietly sweep the floor”…and we did! WE didn’t expect a Blue Ribbon for just doing our job! 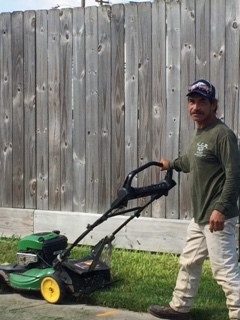 One of our favorite Worker men in our area is Luis. 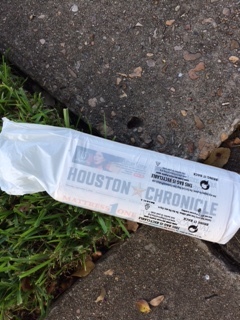 We get our newspaper from him sometimes but mostly we just visit. Even with an obvious right-sided mobility issue, he works hard on his extra job mainly for his family, he is there in all kinds of weather only to then catch the bus to his full-time job at a grocery store. He always proclaims gratefulness and something positive about the day. We are blessed when our stop light allows us to visit with Luis. 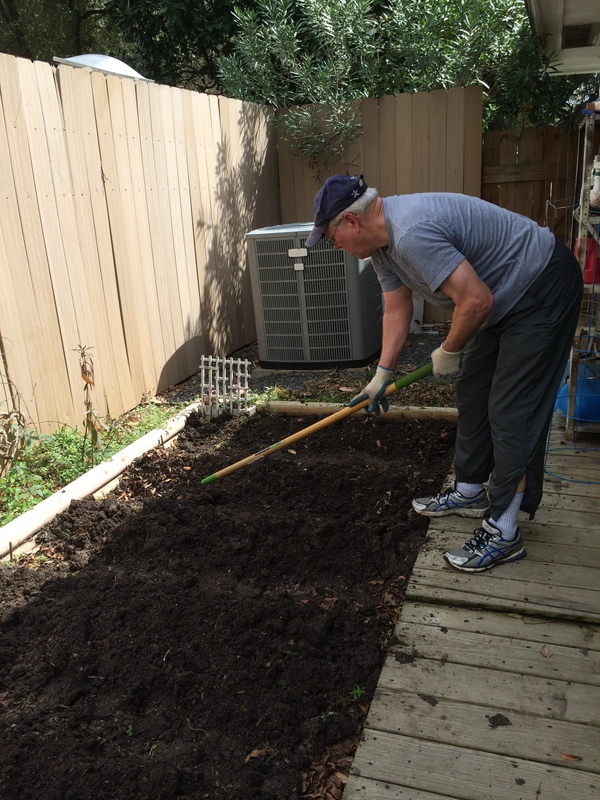 When I walk our neighborhood I often watch the rough work of yard men or utility workers, the constable patrol police officers, the mothers gathering their children and the Teachers getting to class on time. I marvel at all of their consistency and planning. They always have the right cars, backpacks, tools, water jugs, lunches, hats and gloves for protection and they pace themselves. Smart workers! But I am always especially indebted to the Mail Carriers. I really love the mail carriers…I bake them cookies, I give them ice tea, I talk life with them. 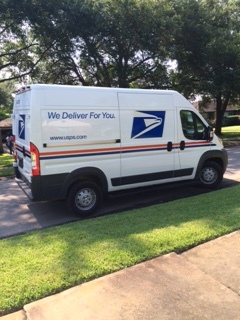 Being a Community Health Nurse I recognize the importance of the mail carriers as it seems to me they are the last vestige of real community workers who knit neighborhoods together. They always know what’s going on, they know who is moving, divorcing, multiplying, hurting, indebted, struggling or rejoicing. They do welfare checks on people without being heroic or videoing themselves for social media and they watch for “bad guys” circling our streets. I love the mail men and my husband was even one for a while years ago. Mail carriers take daily long walks and have to watch their backs for dogs but my smart hubby mailman carried dog biscuits with him to make friends with any errant Fidos. Such a great idea! 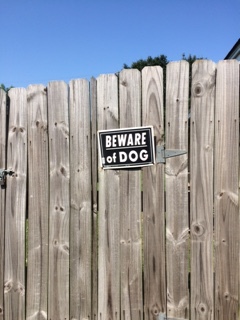 But one day a huge, sneaky, bully German shepherd jumped over the top of a fence and bit him in the back, with blood pouring down his back, he chased him down but then couldn’t hurt him, realizing he was just doing his job too. But you know what?…that dog never bothered him again!! I especially think and say a prayer for the hard workers when I hear a Police or Fire siren in the middle of the night, and then I think about the Physician, Preacher or Rabbi who will be called into action after that siren, often saying a little prayer for them too. I try to give a little smile of thanks when I see the workers gathering shopping baskets left afar in grocery store parking lots, to the wait staff in restaurants cleaning up after messy eaters in restaurants, to nursing attendants pushing gurneys of suffering people in hospitals, to shopping mall sales people trying to smile at the complaining customer, to brave people driving heavy trucks around goofy texting drivers and I pray for those skilled pilots flying planes overhead full of anxious travelers. I feel thankful that we still have workers who want to do a good job and get us all through our everyday lives, especially those who work 24/7 and don’t have Labor Day off. It’s the everyday people, going to work, everyday, doing their job without earthly glory who keep our society healthy. Work is tied to our self-esteem and our purpose in life and without purpose it is difficult to have good self-esteem. It’s really pretty simple! 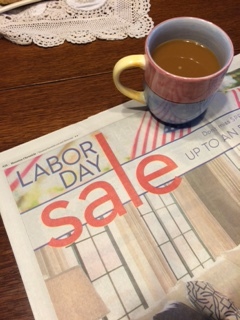 So, when you drink your coffee and read your newspaper this Labor Day, realize that Labor Day is more than the political season or Labor Day Sales thus, …. ….tip your hat to the Worker at all levels of labor. Tip your hat to yourself. We are all in this together folks. We should all have each others backs. So, let’s do our work and labor as Sister taught years ago and “offer it all up to God“. Then at the end of a very long day, we will hear, as is described in the amplified Bible: “His master said to him, ‘Well done, good and faithful servant. You have been faithful and trustworthy over a little, I will put you in charge of many things; share in the joy of your master.’ “ Mathew 25:21.